The lunar poles offer revolutionary spaceflight capabilities and the promise of untold scientific, economic and security benefits. I’ve been reading with interest the recent exchanges in The Salt Lake Tribune on the moon’s utility. I’m grateful for this opportunity to add some facts and analysis to the conversation. To recap briefly, after space author Mark Whittington encouraged potential Senate candidate Mitt Romney to reconsider his earlier disparagement of lunar return, University of Utah Professor Emeritus of chemical engineering Noel de Nevers chided Whittington for advancing such a fantastic concept. Permanent human presence on the moon is essential to any future spacefaring infrastructure. 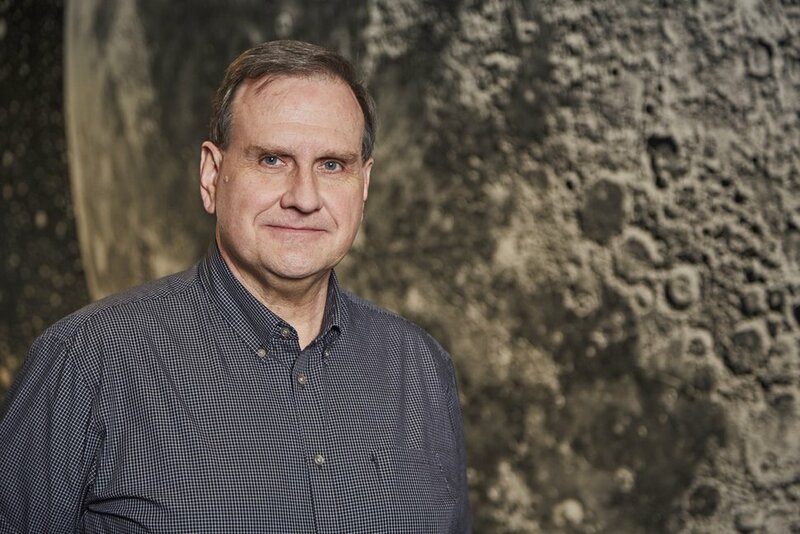 Data from lunar orbital missions have revealed locales at the Moon’s poles that will permit habitation of the moon, where access to constant power from solar illumination is located near permanently shadowed crater floors holding deposits of water-ice. Finding permanent sunlight is critical, as power is essential for human or robotic presence on the moon. Due to the orientation of the moon’s spin axis, the sun skirts and circles around the polar horizon. On certain mountain peaks, or elevated crater rims, the sun shines 80 percent to 95 percent of the year, with short periods of darkness easily bridged by temporary power sources, such as fuel cells. These oases of “quasi-permanent” sunlight permit continuous power production and surface operations, unlike the harsh lunar nights lasting fourteen, 24-hour Earth days over the rest of the Moon. With the sun circling around the horizon, the interiors of craters near the poles remain dark and cold — only a few tens of degrees above absolute zero. Over the past 4 billion years, these “cold traps” have accumulated significant amounts of water molecules from comets and asteroids. Remote sensing techniques, including neutron mapping, UV spectroscopy, radar and near-infrared spectra, all indicate substantial amounts of water ice reside there. In 2009, water vapor and ice particles were detected in soil ejected when an upper stage rocket was slammed into the south pole of the Moon. Analysis suggests over 10 billion metric tons of water is available at each pole — each, roughly equivalent in volume to the Great Salt Lake. Water is the most useful material in space. As a consumable in liquid form, we can drink it, use it for food reconstitution and for sanitation. A water barrier is excellent shielding against hard radiation in space and on the lunar surface. Disassociated into its component elements of hydrogen and oxygen, it provides breathable air. These same gases combined in a fuel cell generate electricity, producing water as a by-product. Thus, lunar water is a medium to store energy for use when needed. Finally, hydrogen and oxygen condensed into liquid form is the most powerful chemical rocket propellant known. With ready access to power and water, the poles offer us unique places for the development of spacefaring logistics depots. In contrast to Professor de Nevers’ comments, this is not magical or futuristic technology. Most resource processing needed will use mining techniques and chemical engineering perfected in the 18th Century — digging the feedstock from the upper couple of meters of soil, heating the soil to vaporize the ice, collecting the water (and other volatile) vapors, fractionally distilling them to make various products and, finally, cracking the water into its component elements. Moreover, because the moon is close (3 seconds round trip light time), we can accomplish much of this early mining work using robots controlled by operators on Earth. Because more than 80 percent of a rocket’s mass is propellant, having the availability and ability to utilize lunar polar water and solar resources creates a new template for spaceflight. Currently this great mass must be lifted from Earth’s surface — the deepest gravity well in the inner solar system. The moon has one-sixth Earth’s gravity — provisioning spacefarers with resources from the moon, while at the same time assuring the continuous re-supply of space-based assets with consumables and propellant, beckons humanity to dream big and travel far. Ponder for awhile on the valuable real estate residing just above us — the lunar poles offer revolutionary spaceflight capabilities and the promise of untold scientific, economic and security benefits for our nation and the world, for many generations to come. This is the place where we will realize our dreams and ambitions of becoming a spacefaring species.